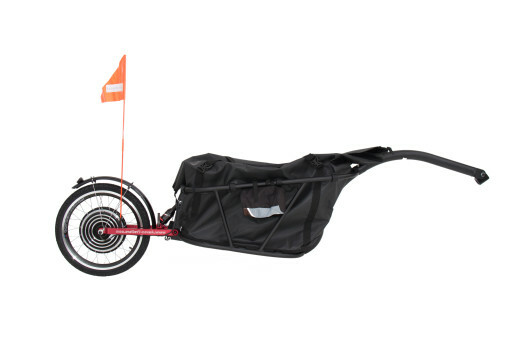 With the electric trailer, go faster and farther ! 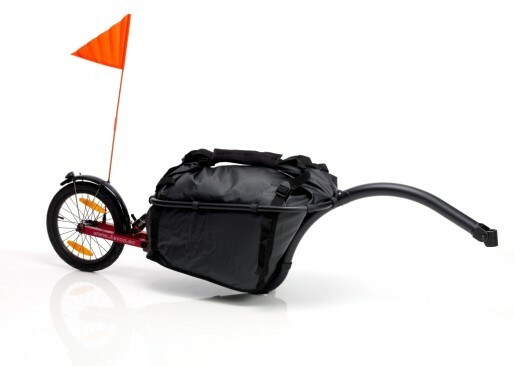 Aevon Trailers, the expert in bike trailers. Our trailers are designed for a use in extreme situations. On roads, tracks, pebbles, sand and mud, they will follow you in total harmony and reliability. Aevon trailers are highly efficient ! In the past few years, many globetrotters have gone around the roads of the world with them. A proof of their quality ! Our trailers are ideal for a daily use. Handling ability and efficiency are Aevon’s main qualities. A nice way to go on using your bike in all situations. For our trailers, Aevon presents an innovative hitch. Fixed to the seat post, it enables an amazing handling ability and great stability for the user. The materials used are top range quality. The frame is in aluminium 6061. For a better resistance, the techniques “meshed-soldered TIG” and thermic treatment “T6″ are used. The Aevon STD 100 trailer is the most famous of the Aevon range. Its sturdiness has been proven through many tests. 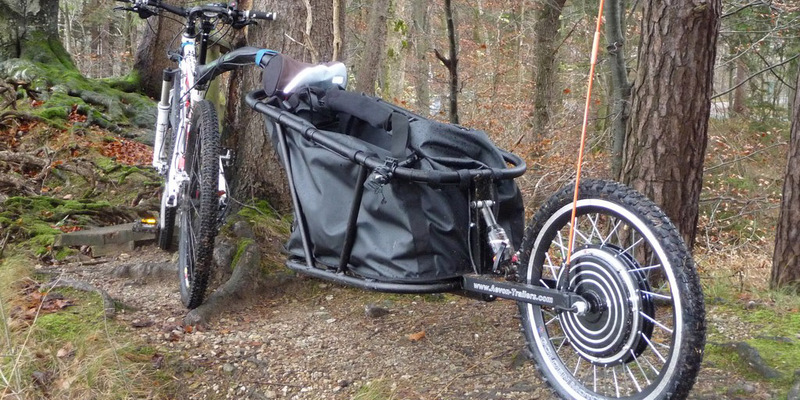 This reliable trailer followed many adventurers around the world. A “must-have”. The Aevon UNO 100 trailer is the same size as the STD 100. Its bonus ? It is cheaper. However it is reserved for a use exclusively on roads as it has no shock absorber. The KIT L80 trailer is the smallest of the Aevon trailers. 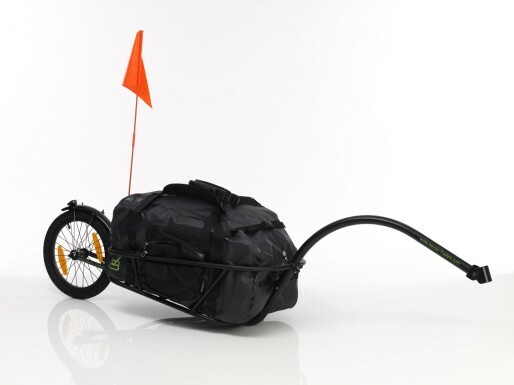 It can carry a maximum load of 35kg. 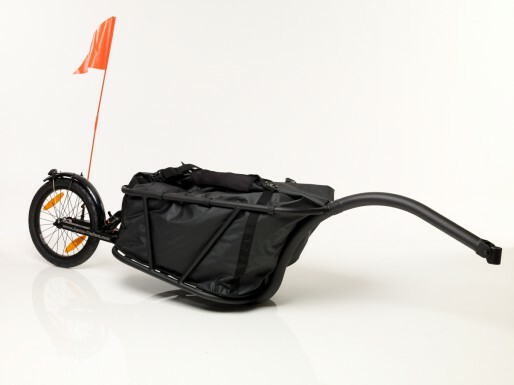 This trailer is the lightest and is entirely foldable. Be careful, it may catch you by surprise. The E-trailer is an STD 100 boosted with electrons ! This innovation created by Cycloboost enables to cycle up to 45km/h depending on the kit used. Carrying heavy luggage becomes a pleasure for all !